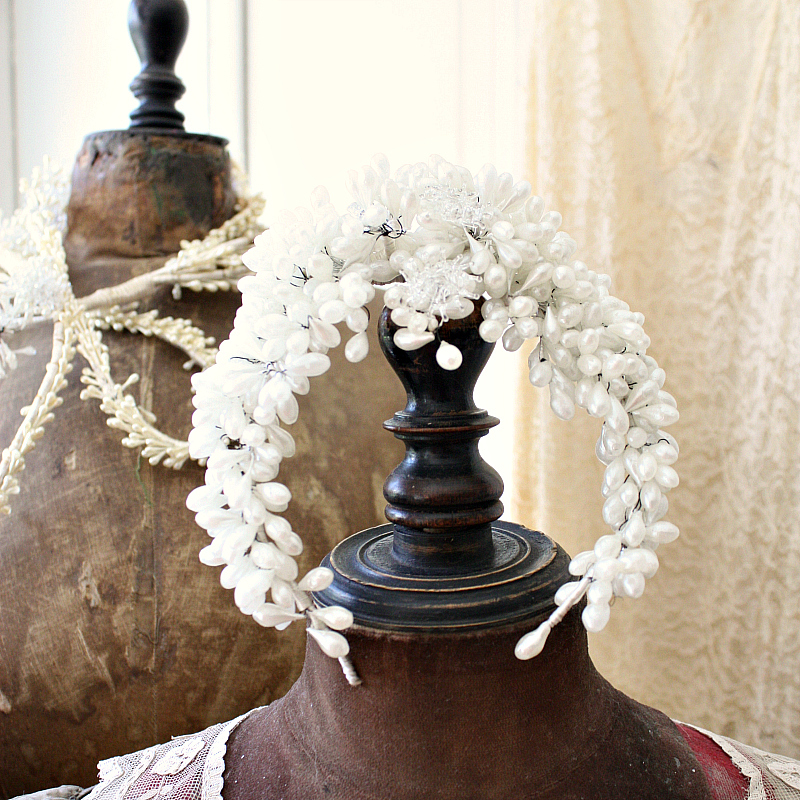 Beyond stunning, this exceptional Antique French Wax Floral Wedding Crown features gorgeous Wax Flowers with pearlized finish to resemble pearls. Absolutely gorgeous, in excellent condition for a piece of this age. 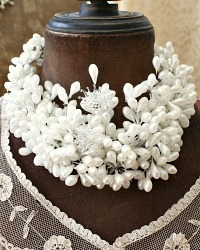 Perfectly wearable for your wedding, the intricate design and beautiful condition makes this such a gem. Two blown Glass flowers in the center make this especially wonderful. 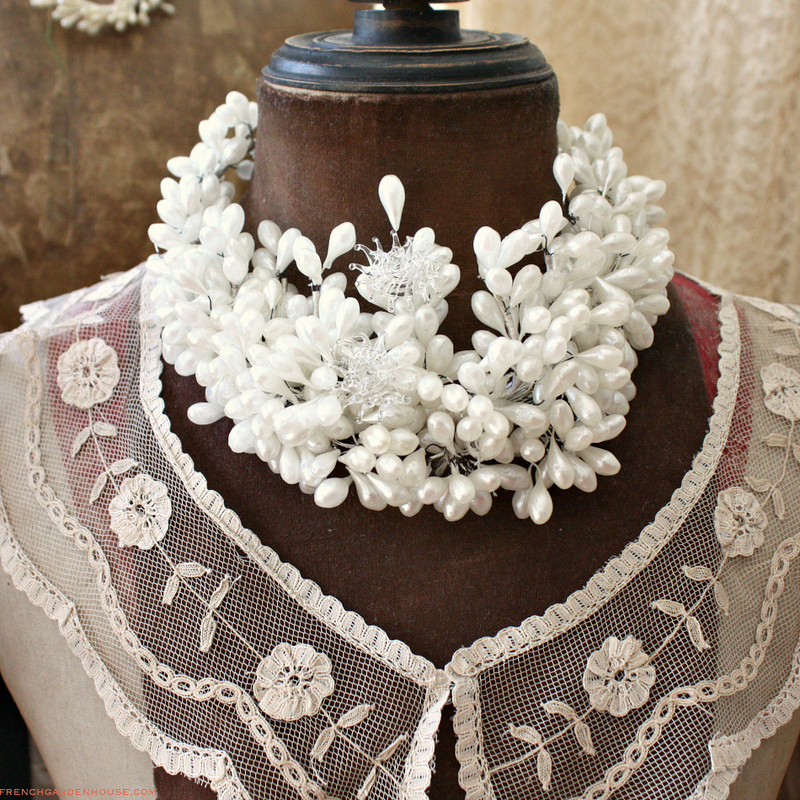 This collectible heirloom has been oh so carefully preserved for over a century by a collector. The wax buds are quite a bit "whiter" than most of the antique tiaras I normally find, each little pearlized bud gleams and glows. 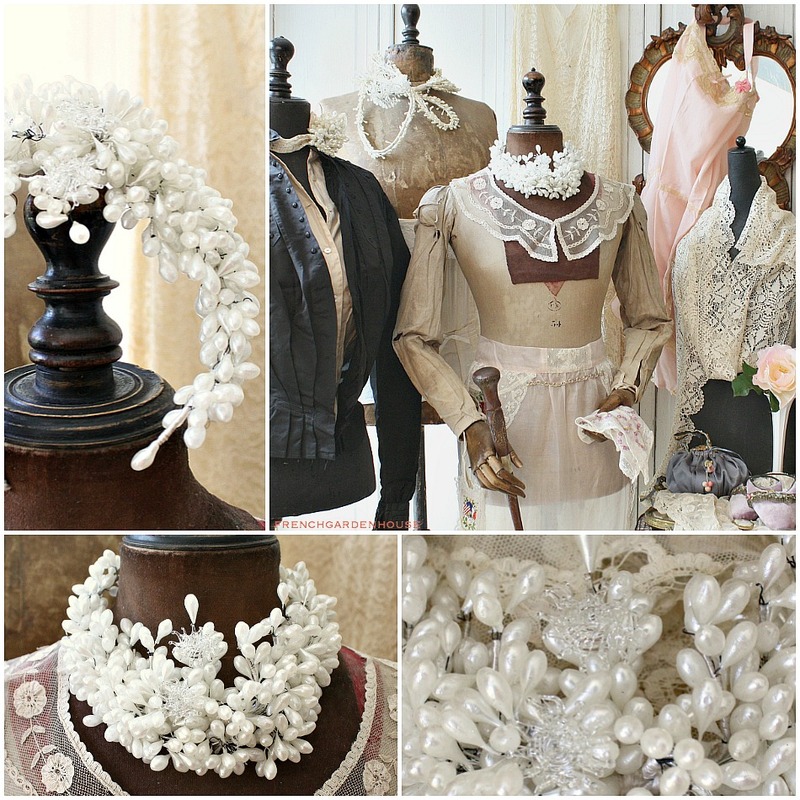 The wires were hand wrapped with silk floss, truly beautiful to display with your collection of Antique Wedding Attire and Wax Tiaras, on your antique mannequins or santos, or to present as a gift to a special bride to wear on her wedding day.